A man was arrested on suspicion of drunken driving and hit-and-run Wednesday after allegedly crashing a flatbed truck on a Linda Vista street at high speed and fleeing the scene of the wreck, in which his two passengers were ejected onto the roadway. 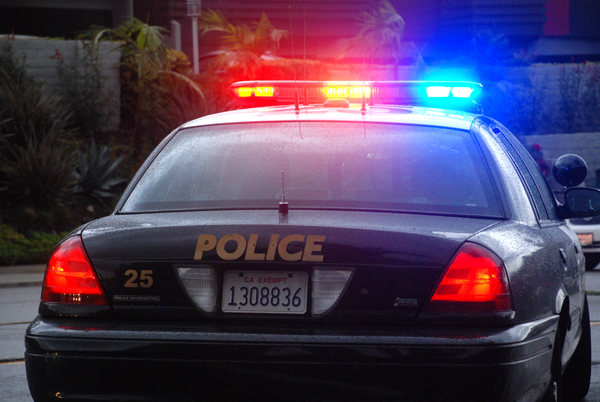 a red light at Park Mesa Parkway shortly before 10 a.m., according to San Diego police. The truck skidded and overturned, hurling out the two men riding alongside the driver, SDPD Officer Frank Cali said. The motorist then allegedly pulled a U-turn and drove off to the east. One of the passengers suffered fractured ribs and a collapsed lung, and the other was left with bruises and scrapes, Cali said. Medics took both men, ages 55 and 29, respectively, to a hospital. Officers found the driver nearby and took him into custody, Cali said.